Raffles Press recently received the sad news that the owner of the Haw’s Kitchen canteen stall passed away on the 27th of January, after a prolonged struggle against breast cancer. From the accounts of those who knew her, Mrs. Haw Geek Nai was a diligent worker and a wonderful cook who was close to many students and staff. Mrs. Haw first joined the school around 2009, when she started up Haw’s Kitchen. She had previously been running a similar canteen stall over at Ngee Ann Polytechnic, but shifted over to RI when she heard there was an opening. It didn’t take long for Haw’s Kitchen to become one of our canteen’s most frequented stalls – serving up piping hot Tom Yam soup and fish soup to hungry students. Among the students and staff Raffles Press spoke with, several mentioned that she would dole out extra portions or even free food to students from needy families. Raffles Press also spoke with her two sisters currently running the stall, who recalled how it was in 2012 when Mrs. Haw first began complaining of back aches and nose-bleeds. During a routine check-up with a doctor, she was unexpectedly diagnosed with Stage 3 breast cancer. She immediately underwent treatment, going for surgery and chemotherapy in a bid to keep the cancer from spreading. And for a while, she got better. For a brief period of time, she was even well enough to return and help out at the stall. She couldn’t be as active as she once was, but her husband, son and daughter assisted by helping to purchase food ingredients every morning. At one point, her sisters recounted, a student who was a regular at the stall even made it a point to buy an egg for her from the drinks stall every day, after seeing how skinny she had become. Yet, even after her return, it swiftly became clear that she had not fully recovered. Following further complaints of bone aches, she returned to the hospital for a full body scan. The prognosis was poor. 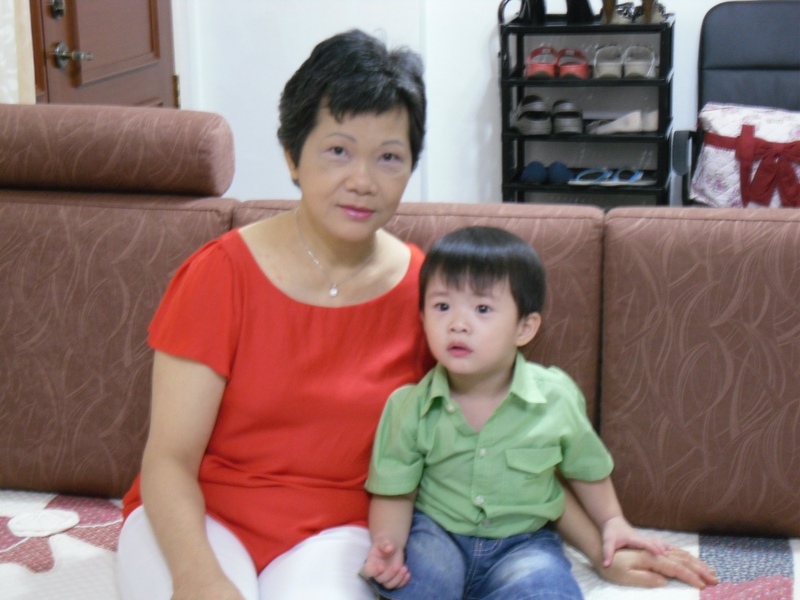 Despite treatment, the cancer had metastasized to her bones and her chances of recovery were slim. She was hospitalized just last year (some of you may recall that Haw’s Kitchen closed intermittently for a period of time last year) and frequently received visitors from staff and students who knew of her condition. Although she remained positive about her condition, she grew progressively weaker and passed shortly before Chinese New Year. I was really lucky and blessed to have gotten closer to her during my JC life such that we even kept in contact after I graduated. About 2 years back when i visited her in school during my army days I received the news from her that she was diagnosed with stage 3 breast cancer. Despite the news, she remained optimistic and strong. She went for an operation and the doctor said she was recovering well back then. The students could tell as well as she still insisted on coming back to work here and then in her headdress, although she often had to rest as chemotherapy has its toll on patients. As I got more involved in army I had less time for her so I only managed to visit her after I ORD, which was at the start of December 2013. I couldn’t contact or find her then and I was pretty upset about it. Then a week later her daughter texted me that she was in the hospital, and her condition has worsened and it was stage 4 terminal cancer now and whenever I went to visit her she got weaker and weaker. Though she is a very happy person with a strong will to live, her condition still got the better of her and she passed away last Monday [27th January]. Before she passed away I posted a photo of me and her on Facebook and a description of what happened to her, as I knew that many people were concerned about her well-being. Many many kind souls shared the post, private messaged me encouraging notes and several went down to visit her as well. This includes students teachers and the staff of the school as well. You can ask anyone who has interacted with her personally and you will know how beautiful a person she is, both on the inside and the outside. She’s selfless and always cared for the people around her before herself. 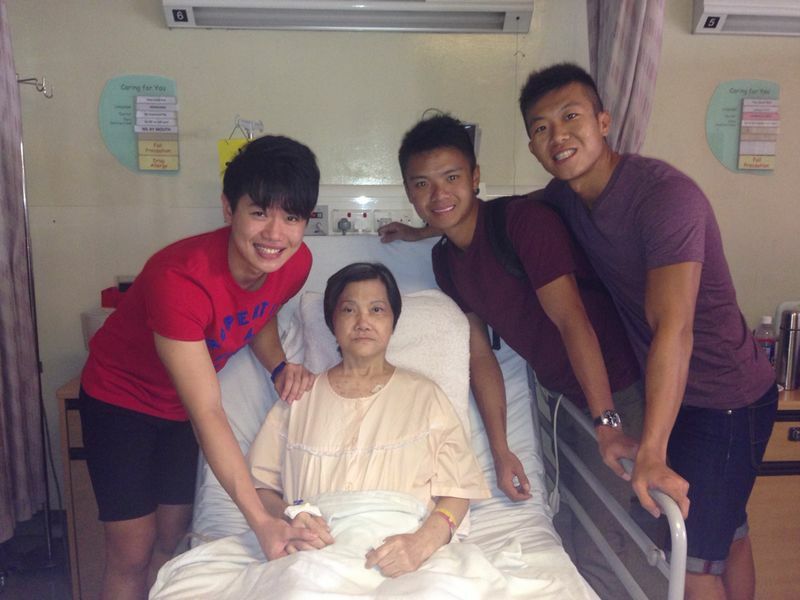 Even during her last days, she would apologise to people who visited her for taking time off just to see her. In school, she’d make sure her students had enough food and are well fed. She would also take the time to have a good chat with students who came by the stall. She appreciates the support and concern the school students have given her as well and to quote her ‘to have such loving students, teachers and customers who are so concerned about my well-being, in this life I am truly blessed’. She would also often give students extra or free food. So one day, I asked her: how exactly does she make money this way? Erratum: The article initially mentioned that Haw’s Kitchen opened in 2011. Our thanks to our sharp eyed alumni readers who noted that the stall opened in 2009. We apologize for the error. :( it’s nice to know that fellow students still keep in contact with canteen vendors! I think that Haw’s kitchen was set up in 2009, though. Definitely around when I was there. “Mrs. Haw first joined the school in around 2011” – I guess this is a typo, since she’s been around ever since I started frequenting the RJ canteen in 2009 when I was Sec 3. Good old times… sad news. We’ve made the necessary amendments. Thank you for pointing it out! We’ve changed the year accordingly. Thanks for the help!